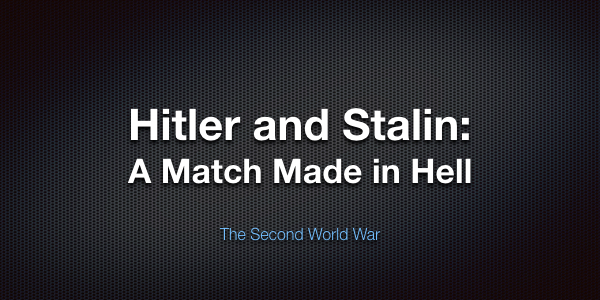 See Hitler vs. Stalin: Who Killed More? 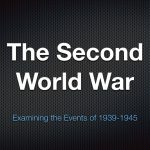 History remembers the Soviets and the Nazis as bitter enemies and ideological rivals – the two opposing totalitarian regimes of World War II whose conflict would be the defining and deciding clash of the war. Yet for nearly a third of the conflict’s entire timespan, Hitler and Stalin stood side by side as partners. The pact that they agreed on had a profound and bloody impact on Europe and is fundamental to understanding the development and denouement of the war. The Devils’ Alliance explores the causes and implications of the Nazi-Soviet Pact, the creation and dissolution of which were crucial turning points in World War II. Forged by Joachim von Ribbentrop and his Soviet counterpart, Vyacheslav Molotov, the nonaggression treaty briefly united the two powers in a brutally efficient collaboration. The Germans and Soviets quickly conquered and divided Central and Eastern Europe. Hundreds of thousands of people caught between Hitler and Stalin were expropriated, deported, or killed. Fortunately for the Allies, the partnership ultimately soured. Ironically, however, the powers’ exchange of material, blueprints, and technological expertise during the period of the pact made possible for a far more bloody and protracted war than would have otherwise been conceivable. Combining comprehensive research with a gripping narrative, The Devils’ Alliance is the authoritative history of the Nazi-Soviet Pact. Get this audiobook for FREE with a FREE trial of Audible.